Do you need a way to manage tickets that have been abandoned by users? How many times have you had to go through your ticket list to manually close out tickets that a user has not bothered to respond to? This plugin can help. It allows you to automatically create and send warning emails as well as automatically close tickets – all based on sophisticated rules centered around the age and status of a ticket. 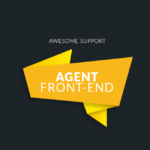 The most common condition is an in-process ticket where the agent has replied but the user has not bother to respond back. 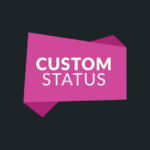 However, you can also send warning emails based on the custom statuses created by our custom status add-on – for example, an agent can set a status to automatically close out a ticket after 24 hours. Or maybe a warning email can be sent if an email has been placed on hold for too long. You can create a series of warning emails. For example, you can send one email after 48 hours, another after 5 days and another after 7 days. Any warning email that is sent can also automatically close a ticket. For example, if you have a series of warning emails that are sent after 2 days, 5 days and 7 days – you can configure the 7-day email to close the ticket. You can create different sequences for different statuses. 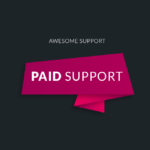 For example, you can create a 1-2 day sequence for a status called “Completed” where the agent is reasonably sure that there is no reason to keep the ticket open but still wants to give the user an opportunity to respond. You can then have a completely different sequence for “in-process” tickets where the user has not responded at all. Usually you would only want to check tickets every 24 hours or so but for operations with an extremely large volume of tickets you can check as often as 5 minutes. While not necessarily practical, you do have the ability to set up sequences of dozens or even hundreds of warning emails that cover dozens of different custom statuses. Fix: Minor fix to deactivation code to remove a PHP notice. 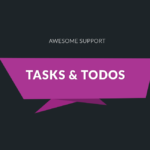 Fix: Use gmt dates for both sides of a key time based calculation. Tweak: Updated warning message custom field internal definition to use new 4.1.0 attributes to prevent display on the front end. Tweak: Option to clear and restart the sequence of messages for any tickets where the full message cycle is not yet complete. - Update: Clean up translation catalog, textdomains and add to poeditor.com. - Added: Show the last date the ticket was evaluated for auto-close in the AutoClose metabox. - Fix: warning emails were being duplicated under certain circumstances.